For testimony of its status as the authority on golf-equipment usage, one can glance at manufacturers’ ads in golf publications, which commonly cite the Darrell Survey. Each week, a Darrell Survey representative observes tour players on the tee on the first day of pro tournament play. Darrell Survey covers the PGA Senior, LPGA, Nike and PGA of Japan Tours, as well as selected USGA amateur and NCAA events. All reports list equipment usage by brand as well as by players. Survey information includes all clubs (irons, woods, wedges and putters) plus balls, shoes, spikes, bags, gloves and visors. Special reports detail shaft and grip statistics. Money, ranking and performance reports are also available per brand and player. Each summer, the Darrell Survey interviews more than 4,000 golfers face-to-face at over 75 public and private courses across the US. This geographically distributed sample provides a statistical “snapshot” of usage in all regions of the country. Within each chapter , brand performance is analysed by region, gender, age, handicap, and type of golf course. Factors influencing purchases are also examined. 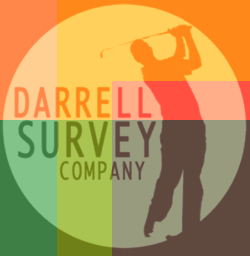 Because the Darrell Consumer Survey has employed a consistent methodology since 1982, the report illustrates long-term trends affecting the golf industry, complete, historical data only the Darrell Survey can provide.